One of the most exciting additions to the REV'IT! lineup for Fall 2011 is the REV'IT! 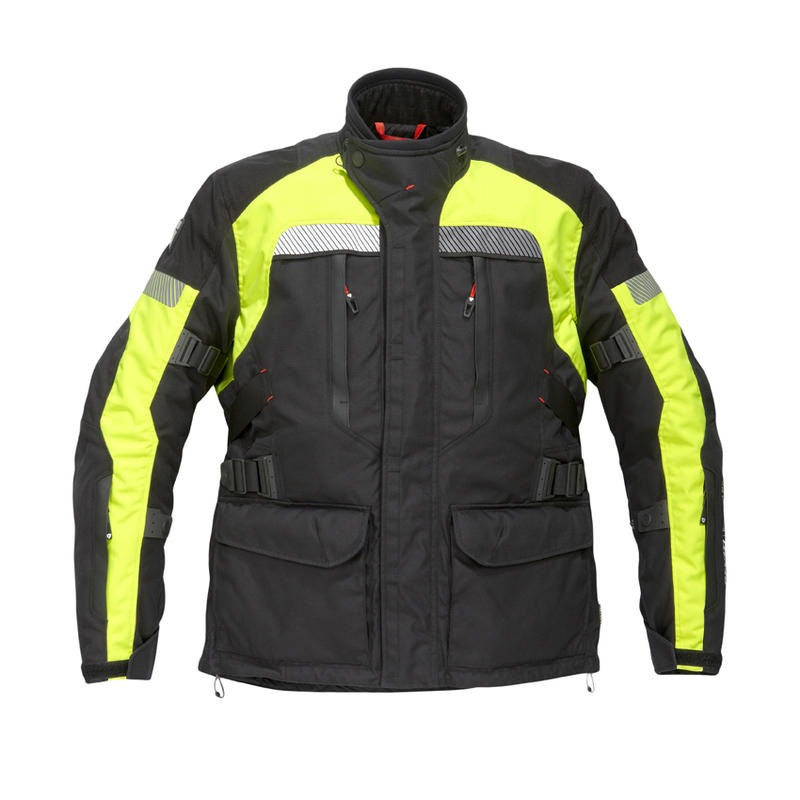 Legacy GTX HV Jacket. The Legacy GTX came out last Fall and immediately become a classic in the REV'IT! lineup as a multi-season all-weather commuter and tourer option thanks to its bonded Gore-Tex waterproof breathable membrane, removable thermal liner and multitude of venting options. Never a brand to stop improving on a product, REV'IT! 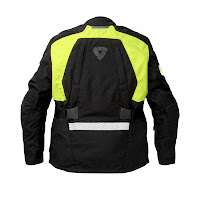 has created a high visibility version of the Legacy for Fall 2011 to give touring riders and commuters the best chance to be seen at all times of the day. All of the features that made the original Legacy so impressive remain intact and we're certain that this is going to continue the Legacy's legacy. 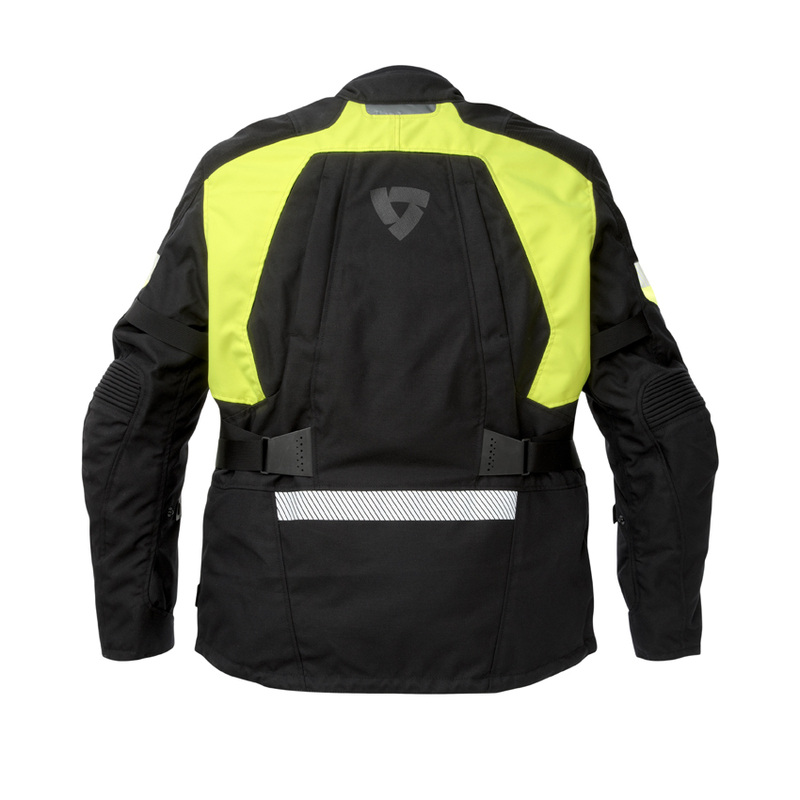 The Legacy is built on a chassis of PWRShell 750D, Cordura 1000D ripstop in impact areas and 600D polyester in the hi-viz regions (certified to the EN471 standard for high visibility). The Gore-Tex waterproof breathable membrane is bonded to the outer shell and provides guaranteed-for-life protection from the elements in addition to allowing your perspiration to escape. There is a removable thermal liner for the cold times of the year but when it's warm, pop out the liner and zip open the two chest intakes, two sleeve intakes and rear exhaust vents for a high degree of airflow. Adjustability at the waist, upper arms, collar, under arms, cuffs and hips truly allows you to cinch this jacket down for a tailored fit. Beyond that, you're looking at upgraded CE rated Prolife armor in the shoulders and elbows, with an EVA foam backpad that can be upgraded to either the Knox TP2 CE Back Protector or the SAS-TEC Back Protector. The shell is treated with a Teflon coating that will help water bead up and roll off when it's raining, making the Gore-Tex membrane's job even easier. Stylish and strategic 3M Scotchlite reflective panels help to improve night-time visibility. 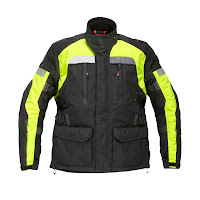 Waterproof stash pockets, a hook-and-loop lockdown collar system, strategic accordion stretch zones, a pants-connection zipper, inner pockets and handwarmer pockets are some of the other niceties on this jacket.